A series of strong storms moved across Connecticut on Wednesday afternoon, taking down trees and dropping heavy rain and hail. Flash Flood Warnings remain in effect for parts of New Haven, Middlesex, Litchfield, Hartford, and Tolland counties. 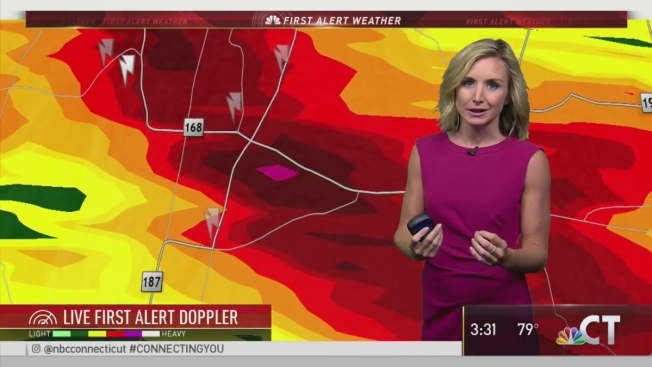 The NBC Connecticut meteorologists have been tracking thunderstorms this afternoon, including storms that brought hail and lightning to towns including Coventry, Bristol and Wolcott. Coventry saw some of the most hail. Check out this photo sent in by Lou. The storms are capable of producing heavy rain, frequent lightning, small hail, and gusty winds.